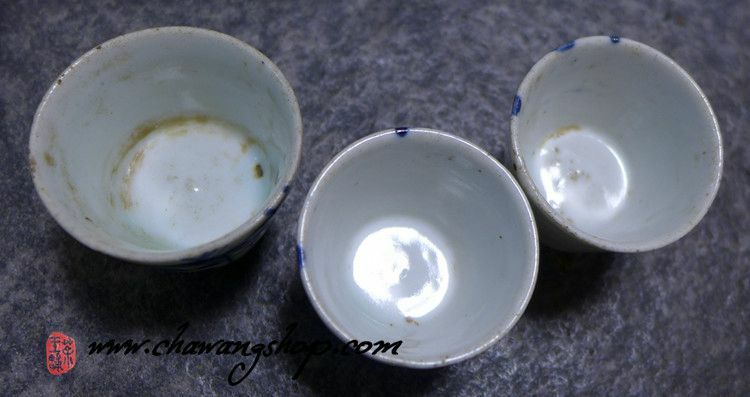 These three cups were from late Qing or ROC. 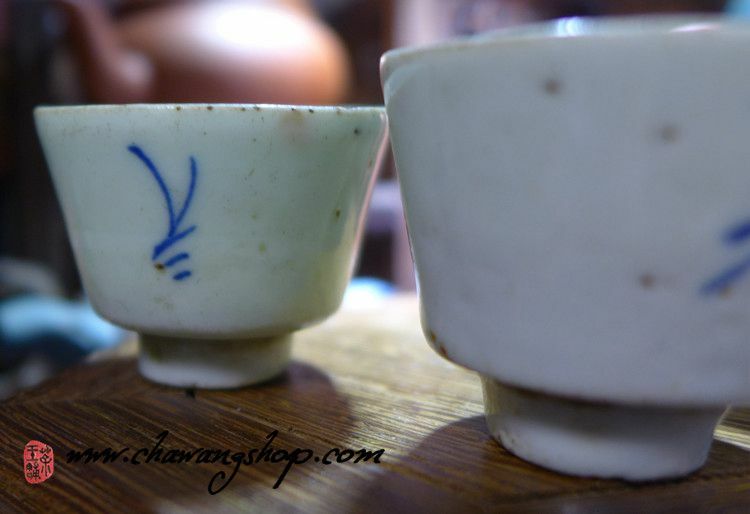 Small size cup (20cc) was used for drinking Kongfu Tea in Chaozhou area. 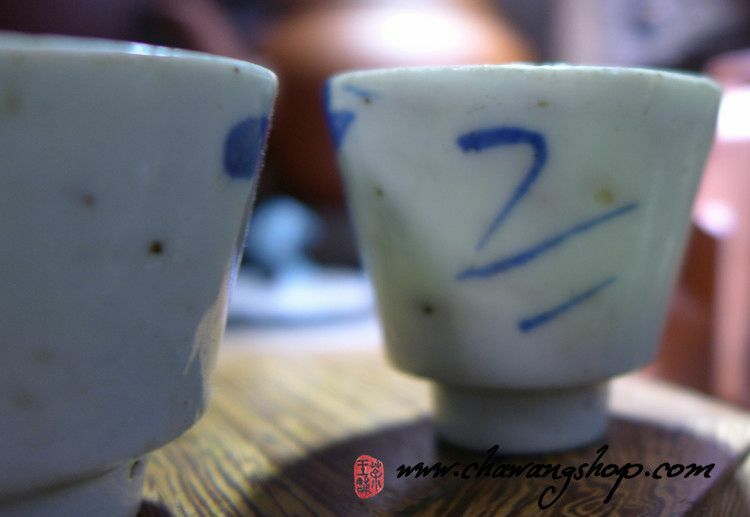 These teacups are hand made and hand painted (Qing Hua). Very cute old style painting! We picked out these cups in fine condition from hundreds of them, only very few cups without crack on its surface. One of these cups is still dirty inside, another two was washed. You will get all three washed and clean! This set is best for 65-95cc vintage shuiping teapot!